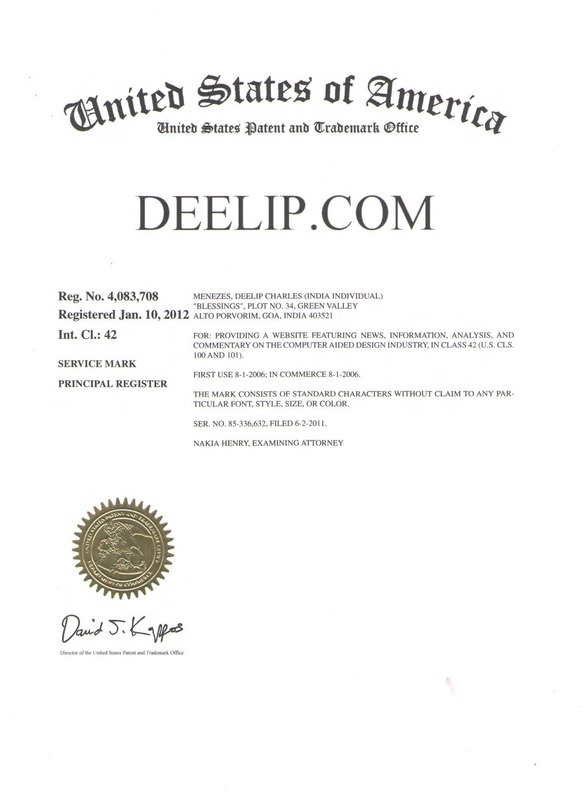 Today I got a letter from United States Patent and Trademark Office (USPTO) letting me know that my trademark for “Deelip.com” has been registered. The USPTO record (Registration No. 4,083,708) mentions the mark as “providing a website featuring news, information, analysis, and commentary on the Computer Aided Design industry“.